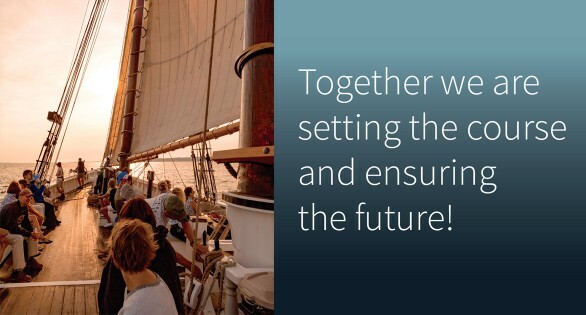 Becoming a Member of Schooner Adventure is the best way to support our mission to preserve and operate Adventure for the enrichment of our community and for future generations. Please consider becoming a Sustaining Member by providing ongoing monthly support for as little at $10/month. Members receive complimentary tickets to sail and 25% discount on additional tickets and Adventure gear from the Ship’s Store!